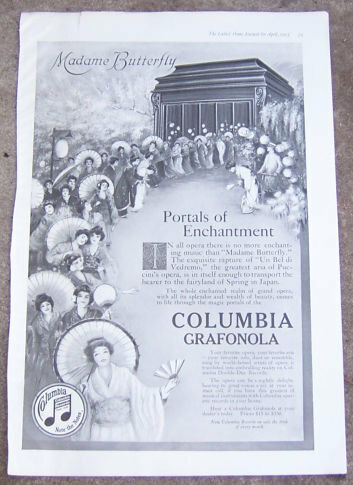 1917 Ladies Home Journal Madame Butterfly on Columbia Grafonola Magazine Advertisement. Grand Opera Comes to Life through the Magic Portals of a Columbia Grafonola. Ad is 16" high and 10" wide. Advertisement is in very good condition, suitable for framing.